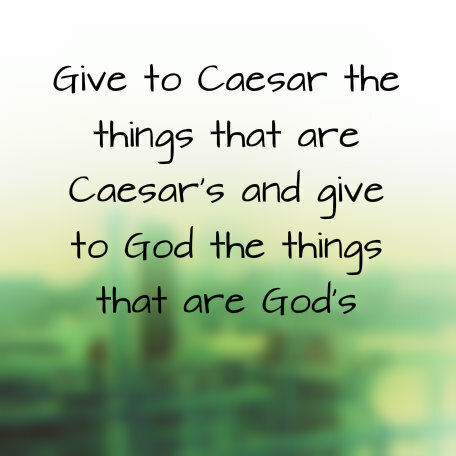 Give to Caesar the things that are Caesar's and give to God the things that are God's. 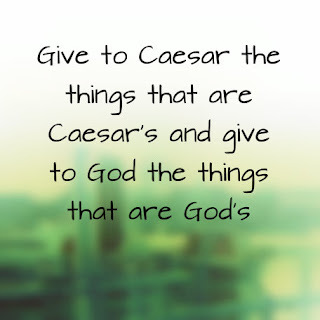 The things that belong to Caesar and therefore should be given to him were the things with his likeness or image on them. Therefore the things that belong to God and should be given to Him are the thing made in his image and likeness - us! God's not after your money, it's much bigger than that. Everything about you belongs to Him, you are made in his image, give yourself to Him.